Relax your body, switch off your mind, release deeply held stress and pain. If you like a yummy relaxing massage that also gets right in there to those habitual tight spots this is the massage for you! Also specialise in injury rehab. Aromatherapy oils are used; Reiki healing can be incorporated with your massage. Massaging since 1996, I hold a Diploma in Remedial Massage. Reiki Reiki can help you through a crisis, maintain welness and equilibrium and assist you on your personal journey through life. A Reiki treatment feels like a wonderful glowing radiance that flows through you and around you. Many say that it feels like love. Reiki treats the whole person including body, emotions, mind and spirit and creates many beneficial effects such as relaxation, peace, well being, and promotion of health. It is a simple natural and safe method of healing and self improvement that everyone can use. Treatments last about 2 hours and include time for talk before and after the Reiki. 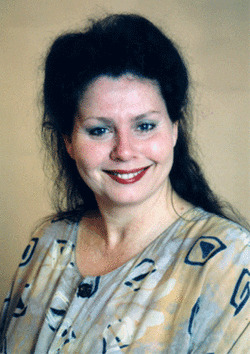 Annie is a Reiki Master/Teacher and has been working with Reiki since 1991. Reiki is a technique for stress management and relaxation that also promotes healing. It is administered by “laying on hands” and is based on the idea that an unseen “life force energy” flows through us and is what causes us to be alive. If one’s “life force energy” is low, we are more likely to get sick or stressed, and if it is high, we are more capable of being healthy and happy. An amazingly simple method to learn, the ability to use Reiki is transferred to the student during the class through a series of “attunements” given by the Reiki teacher (also known as a Reiki Master). This allows an unlimited flow of the Reiki Universal Life Energy for yourself, family, friends and pets, which can really enhance quality of life, wellness and balance. Annie has been teaching Reiki since 1993. A weekly Reiki sharing evening is held at her centre in St Kilda. All are welcome. Please call for a class brochure. Voice Dialogue is a powerful therapeutic, relationship and personal transformation tool. Through Voice Dialogue we work directly with the selves or subpersonalities of our psyche to create lasting change. For example, we’re all aware that our work-mode selves are very different from our holiday-mode selves. Furthermore, different selves can be pulling in opposite directions, leading to inner conflict and confusion. By listening to and understanding our various selves with the guidance of a trained facilitator, we can change the “stuck” places in our life, leading to greater choice and freedom in both life and relationships. Annie is a trained and experienced Voice Dialogue Facilitator, loves this work, and loves assisting people to grow and change. Voice Dialogue was developed by Drs. Hal & Sidra Stone, internationally renowned clinical psychologists and teachers, and is based on their theoretical framework, the Psychology of Selves. Zenith Omega is a healing technique using Vibrational Light and Colour to release energy blocks from the physical, mental, emotional & spiritual bodies, thus restoring each individual to a higher state of potential and beingness. Such a balanced state produces a more effective life and livelihood for yourself, your family and your friends. Zenith Omega is a Gift to Humanity introduced by William Wiltshire in 1988 and comprises over 400 clearings in six Levels. You can book a healing session of 1hour, or take a class to learn yourself. Annie is a Level 5 Zenith Practitioner, and is licenced to teach Levels 1 & 2.